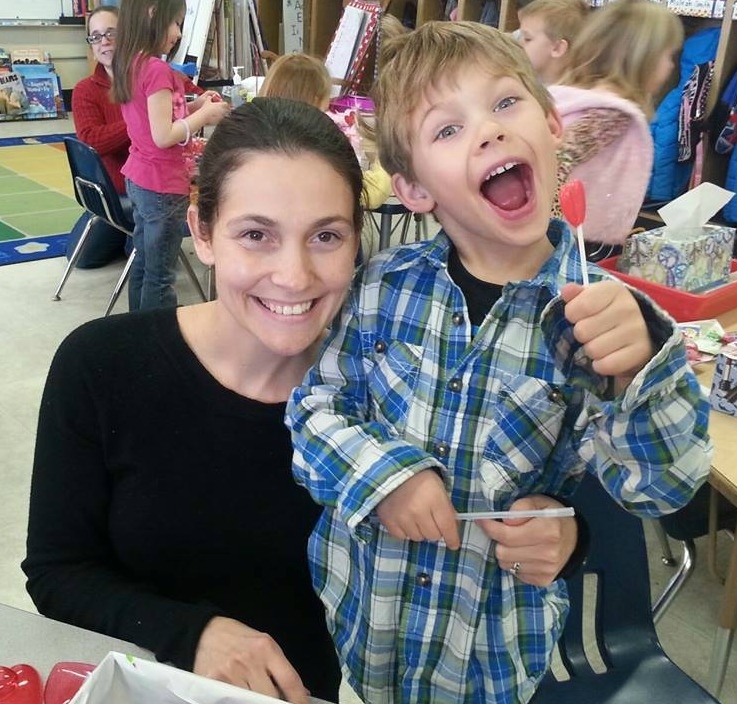 You are here: Home / Musings / Talking Gifted Education: Katherine C.
Talking Gifted Education: Katherine C.
Katherine is a working mom, and she and her husband have two beautiful boys ages 6 and 2. She just completed her doctorate in education and works in higher education. Like most of us, learning she’s raising a gifted child took her by surprise. 1. 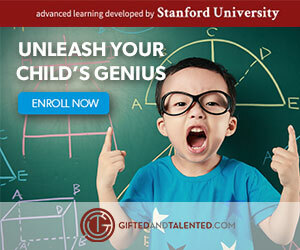 What led you to believe your son might be gifted? I think my first sign came from a Parents As Teachers meeting when Ethan was about a year old. One of the tasks she asked was for him to stack three blocks. He stacked all 10 easily. She acted like that was a huge deal. He did a few other things during the meeting that made me wonder where he as developmentally. This was a kid that didn’t use a consonant sounds until he was around a year old. I remember his pediatrician and I discussing it at his one year appointment. No goo-goo, ga-ga, da-da, etc. He did everything else ahead of schedule. Rolling over, pulling up, cruising, walking, etc. At around 18 months, we were sitting at the grocery store while my husband ran in. Ethan looked up at the sign and said, “P” and then made the sound. Come to find out, he knew most of his letters and their sounds out of sequence. He could also identify numbers. I started looking into these milestones and realized he was probably above average. Then I stumbled upon a gifted site that described him, even the lack of sleep he seemed to need. The big moment, though, was when he was three and we moved him to a new preschool. His teacher, a retired Montessori teacher with two degrees in child development, approached us about his level of intelligence and emphasized that if we didn’t get ahead of it, he would likely get into trouble. He would get bored easily and was very distracting to the rest of the students. She was concerned that idle time might lead him to join the “wrong” groups as he got older. 2. I understand you had him tested early, I had my daughter tested early as well, what benefits do you think come from early testing? I remember really thinking about whether testing was a good idea. He was tested just after his 4th birthday. We were having so many problems in preschool. He had been moved up to the next class, but he wasn’t doing well socially. He got along with everyone, but expectations for him to sit for long periods of time and do worksheets that he could already do caused a lot of behavior problems. I didn’t think he had a behavior disorder (such as ADHD) and was pretty convinced at this point that he was gifted. I wanted to start there. I think early testing should only be done when necessary to advocate for the child. It really didn’t change how we did things at home, but it did change with how I communicated with the preschool. They could no longer disagree that the level of work he was doing was below his capabilities. Eventually, we moved him to a play-based preschool and having those test scores to discuss not only his intelligence but all the characteristics that can be seen in gifted children really helped. When things did get rough, they were informed because we were informed and able to pass that information along. I really think it helped keep the lines of communication open and allowed us to stay at the school. They eventually paired him with teachers that had some experience with gifted kids. One of those teachers went on to write her Master’s thesis about gifted education because she had my son in her class and he inspired her. Her words, not mine. Going into Kindergarten, having those results allows me to lay the cards on the table. I’m a better advocate and they listen more because I have the proof that says he is gifted. It’s still not easy, but the district doesn’t test until the end of first grade. Without it, I believe they’d see some of his behaviors as defiance and disruption. 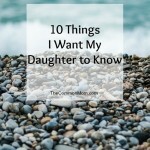 He’s not perfect and he can be those things, but I think it helps them understand a little more and allows us to talk beyond the intelligence because I can legitimately talk about gifted traits and we can work together. 3. Pre-school years can be difficult for gifted kids. Usually because the pre-school teachers have less training in coping with gifted kids than elementary teachers do. What was the pre-school experience like for you and your son? He started in an at-home place. Things were fine, but there were things going on that I didn’t agree with. His second pre-school was a disaster. It’s in a small town and they take a two-hour nap. There was nowhere else for him to go when he couldn’t sleep, so he was supposed to lay quietly for two hours. That didn’t work. They moved him up a class and spent morning doing worksheets. He had already mastered most of it (alphabet and numbers). We searched for alternatives, including a Montessori school, but the class he would be in focused on concrete subjects and he was already thinking in the abstract. We ended up in a play-based preschool. We really learned a lot there. He doesn’t handle change well, and when his favorite teacher left, he exploded in ways they couldn’t handle. I was called to pick him up. That’s when we began to notice this was more than transition issues. We could see a pattern in the past. When they brought in a new teacher, things went poorly and ended with him head butting her. It was a bad situation. They started placing him in the preschool class with younger kids, but he really attached himself to the teachers in there and they were great with him. From then on, the teachers kept the lines of communication open. They though about various ways to communicate with him. They allowed him to grow and gave him supplemental work to feed his mind. They did science experiments on the side with him and challenged him as much as possible. I was so worried about him being with a group of younger kids and having to learn the same things over, but they worked so well with him and didn’t give an inch. They showed him consistency and made him feel like his thoughts were important and meaningful. It was great. They understood his issues with changes to his environment and tried to prepare him when changes happened. 4. How do you provide enrichment or other learning opportunities outside of the classroom? We try to give him opportunities, but it’s hard. We both work full-time and have another child. I have built robots, done science experiments, given him information on topics he’s interested in, taken him to special events, such as Engineering Day. We read. A lot. We read about scientists and robots and space. We read fiction, as well, but not as much. e signed him up for Learn to Mod to feed his Mincraft obsession and give him something challenging. We do Khan Academy. When he was really into the heart and body, we watched open-heart surgery videos. Yes, I know. Long story there. When he asks questions, I answer and encourage exploration. As he’s getting older, I’ll look into summer camps and other things available. Some of the trouble is so many things are available by AGE. Our Discovery Center has a Chromo Lab where students can look at their DNA, but they have to be in second grade. I’ve tried to explain his interest, but they won’t budge. Robotics classes offered at the same place are also based on age. We do have him enrolled in an afterschool science class with a mixture of ages. He seems to enjoy it. 5. If you could wave a magic wand, what would you wish for regarding your son’s educational future? A magic wand. I would wish for him to be able to grow academically at his own pace rather than a pace set by the district. I would wish for him to be able to explore his interests and learn the fundamentals he needs through them. There is so much research out there for developmental education in college that says students learn best when it is applied to their intended career field. I see no reason that can’t be true for gifted kids of all ages. If he could learn reading, math, history, social implications, etc. through his topics of interest, I think he would find it so much more worthwhile. And I would wish that he stays true to who he is. He’s amazing and I worry about his concern to fit in already. I also know that we have to conform to social norms, but I would also wish he learns and understands when and when not to conform. 6. What’s been the biggest hurdle you’ve faced, or are currently facing, ensuring he’s challenged appropriately? There are so many right now. He struggles with anxiety. It’s not social anxiety. He apparently has his world mapped out in his head, and when things deviate from that he doesn’t know what to do. He’s also very energetic to the point that it truly is exhausting. I know his teacher is exhausted, and I get it. Almost daily he tells me he hates school. He loves his teacher and loves his friends, but he hates the work. He’s not being engaged and when I’ve tried to suggest other things he could be doing, I’m told he has to do what he’ll be assessed on. He’s not challenged. It’s a huge problem. There isn’t a professional we have met that has not said he is very complex. He’s not a one-size-fits-all. He constantly changes the game. That’s hard. Biggest hurdle is developing a relationship with the school that will keep them from labeling him as trouble. They have been great to meet with me, and I have an upcoming meeting to discuss subject acceleration. With that comes another huge hurdle. Information. I have to be informed. I have to be ready to answer the questions and combat the myths. I want to scream sometimes and throw my hands in the air. But I can’t. And then there’s my son. He’s throwing up his own hurdles. In typical fashion, he doesn’t feel the need to do work that doesn’t matter and once he’s done it, he doesn’t feel he should have to do it again, so when he DOES get an opportunity, he doesn’t show them what he’s capable of because he feels like they should already know because he’s already done it. I get, “well, he isn’t comprehending.” That statement couldn’t be more false. 7. 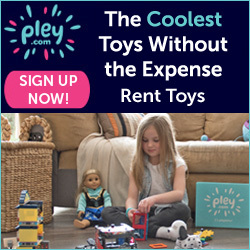 Share with us three of your favorite resources and how you or your son use them. Khan Academy. We just started using this resource. He enjoys it. The library. He can explore his interests and gets excited about the things he gets to bring home. Technology. Yes, he plays Minecraft all the time, but I can see the benefit. His brain is always working out problems. Technology also allows him to explore his interests. For me, Hoagies, The Davidson Institute, and a good friend! 8. What have you learned most about your child – and yourself – as you navigate this whole gifted thing? That he’s amazing. That while it can be so hard to parent him, I couldn’t imagine him being any different. We could do without the anxiety, but that’s a part of who he is. I have conversations that I never though I would have with an adult, much less a child. I have learned so much through him about so many things. I love listening to him explore his world and draw connections and come up with theories. He amazes me. He can be so challenging, but he’s also really and truly the most loving person I have ever known. I have learned to grow with him and understand so much about this thing called “gifted” and all the traits that come with it. For me, I’ve learned I need patience. And I have none. I’m exhausted all the time. And I’ve learned how very lonely it can be to have a gifted child. I can’t explain things to others, even friends, because they try to put it in the context of what they’ve experienced with their children. I feel misunderstood. I feel like I have to step outside my comfort zone all the time. I just feel alone. A lot. I know I’m not, but it’s hard. It’s hard to stay on top of it. It’s hard to meet his needs. And then, of course, we have Celiac to contend with as well. I feel stretched thin. That’s honest. 9. Speaking of feeling along – support systems, or tribes can be a lifesaver. How are you connecting with other families facing similar challenges? I should do more. I just started a blog, Adrift in Gifted Advocation, because I’m learning how difficult this journey is going to be. I need to reach out in the community to find other parents. I need to attend more events and create more relationships. I’m hopeful that as we start doing more extracurricular things, I will be able to do that. I read forums. I read blogs. And sometimes, these things give me comfort and make me feel like I’m not alone. 10. I promise you are not alone! 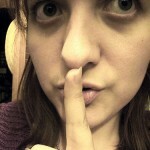 Give those other moms who are just learning their child is gifted your best words of wisdom. A few things, I guess. 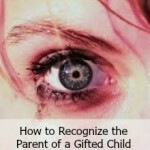 First of all, try not to let your child’s giftedness color your expectations. It’s easy to think, “I know you’re smart enough to get this,” but development is often asynchronous. Look up and learn about executive functioning. Remember, he or she is just a kid. You are your kid’s biggest advocate. That advice was given to me and I have found it to be invaluable. No one is going to fight for my child like I will. Defensiveness will get you nowhere. Compromise and understanding; however, will. I hope. I’m still learning. 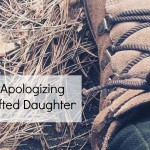 Never apologize for your child. This is hard. When you talk about your child, leave the “buts” out of the sentence. Can you imagine how your child would feel if they heard you doing that? I find myself doing it, too. It’s hard. Above all, love your child. You are his or her safe haven. There will be a million situations and a million people who will make your child feel “different.” Don’t be one of them. Appreciate them. Even during the hardest of times, appreciate them. You have been blessed with this amazing gift and he or she deserves all the love and acceptance you can give. 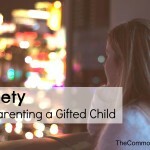 Thanks to Katherine for sharing her journey about raising a gifted child. Look for more interviews soon! If you’d like to be featured and share your story, contact me here or send me a message on Facebook.